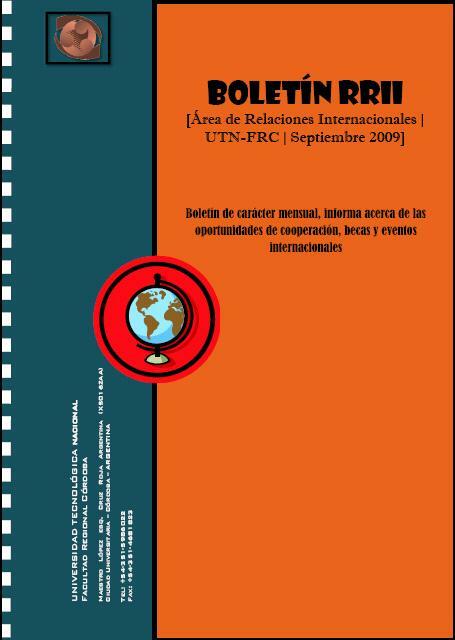 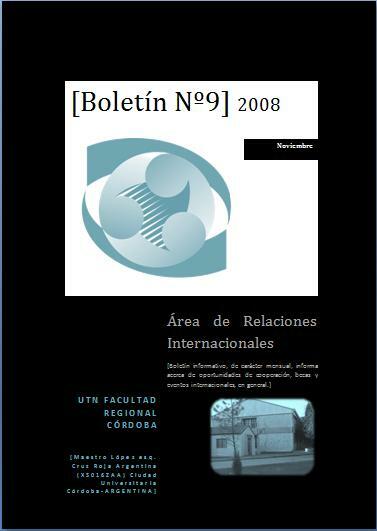 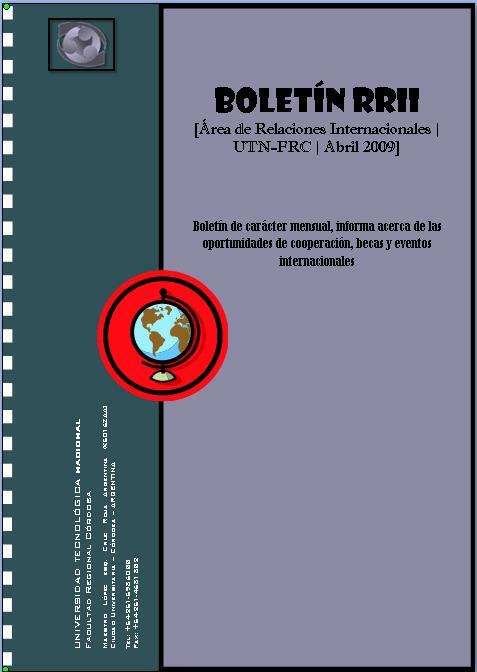 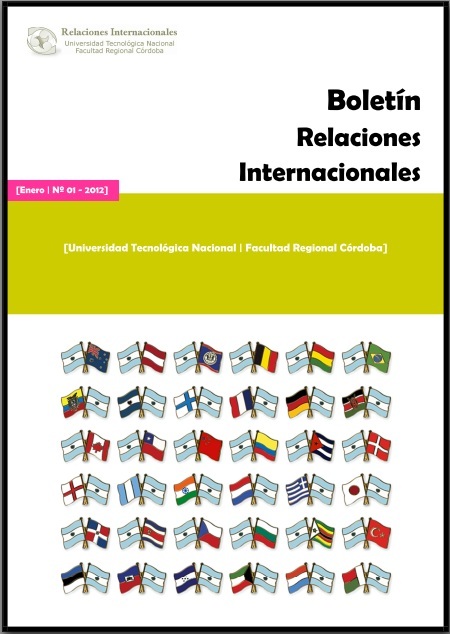 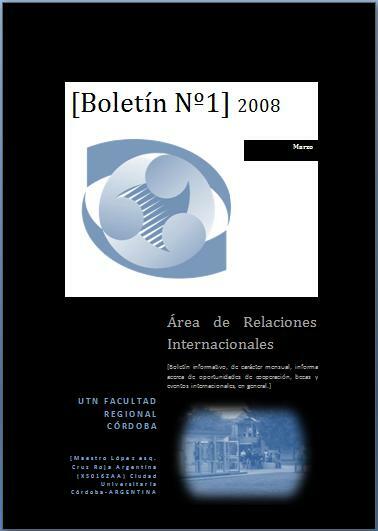 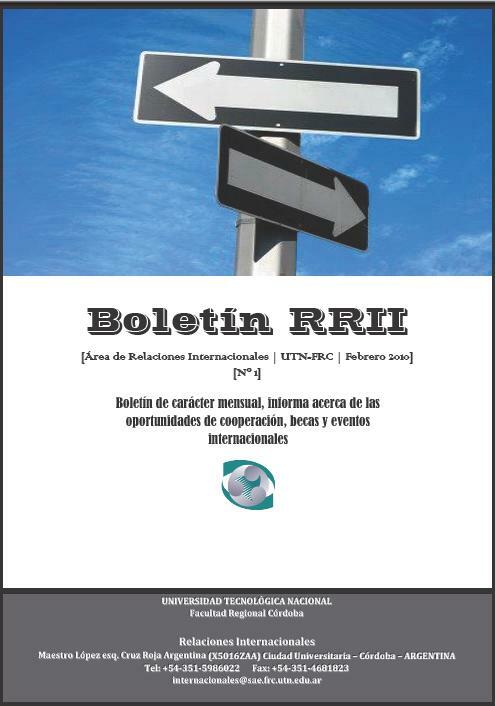 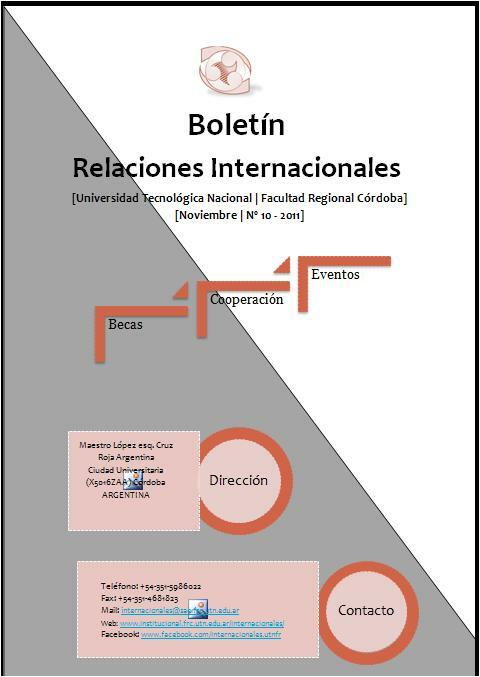 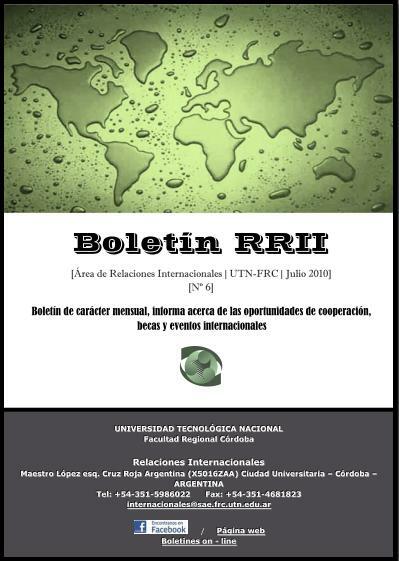 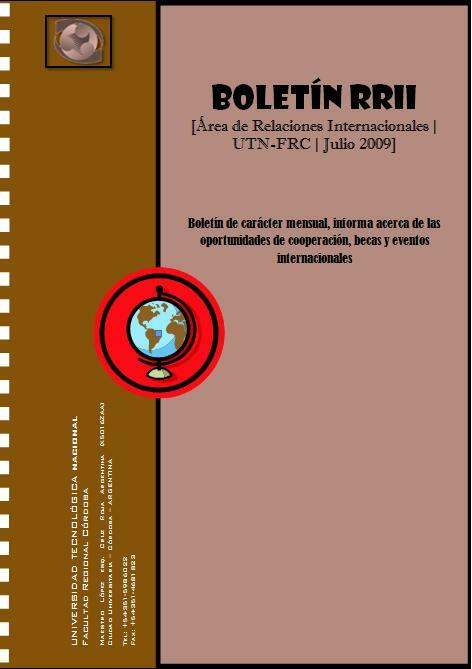 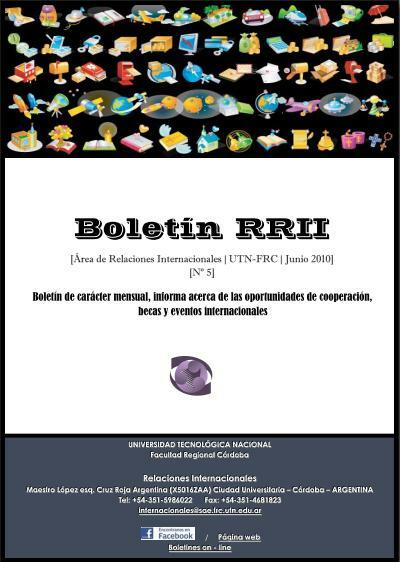 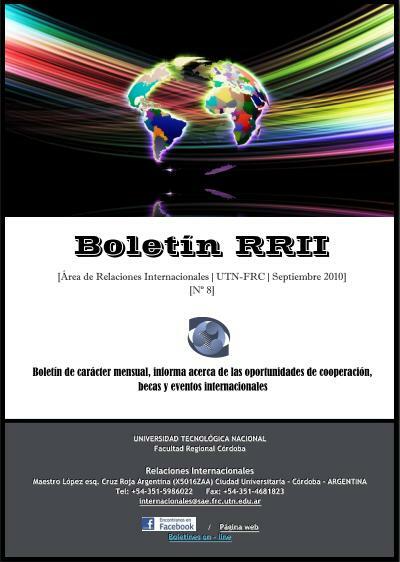 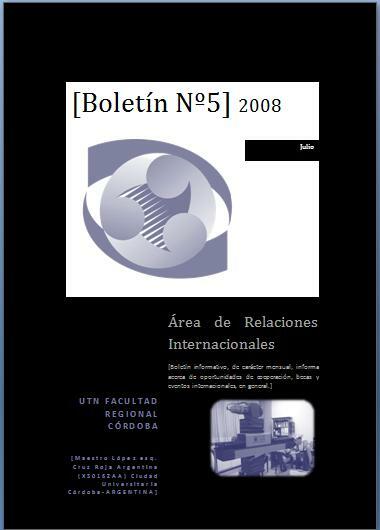 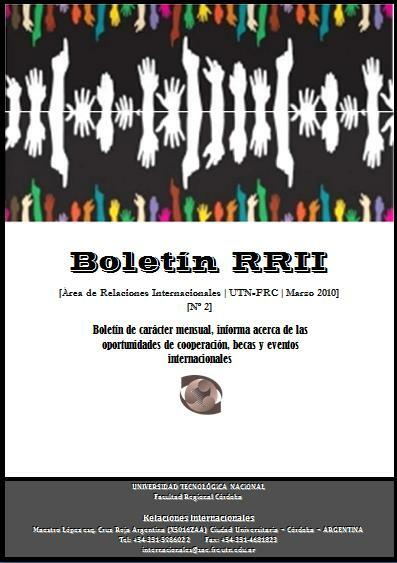 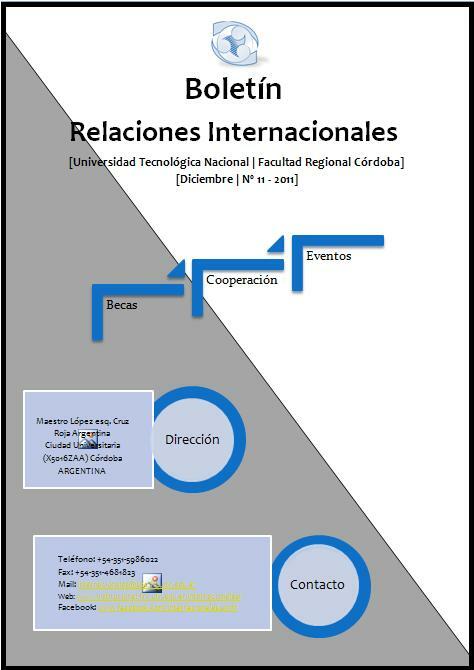 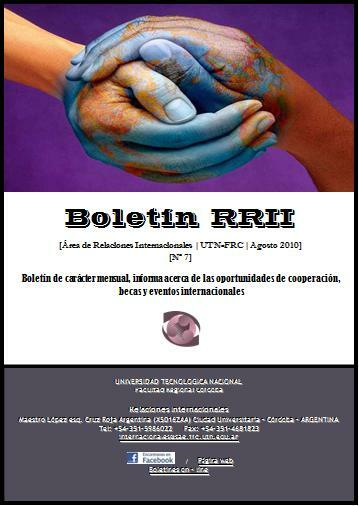 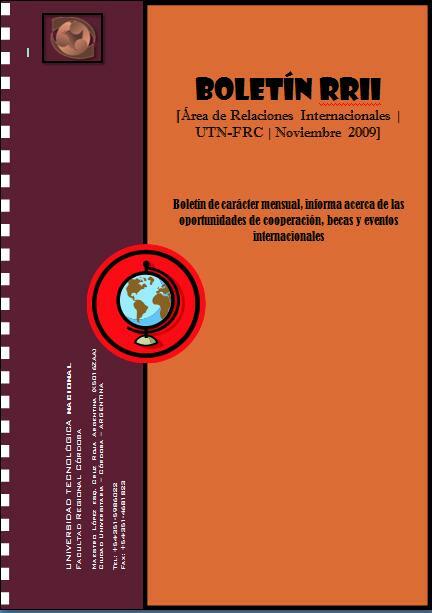 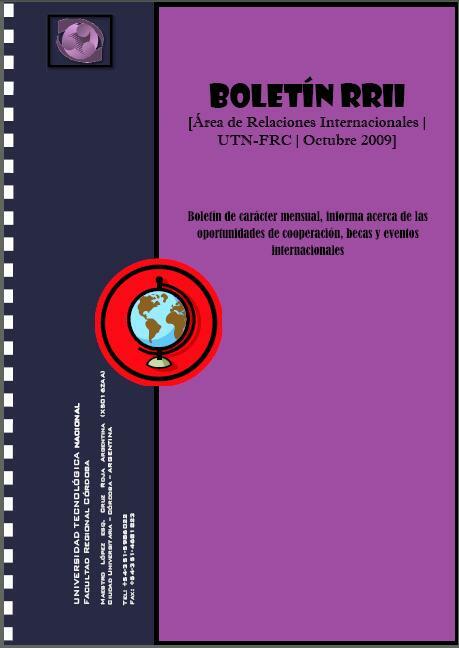 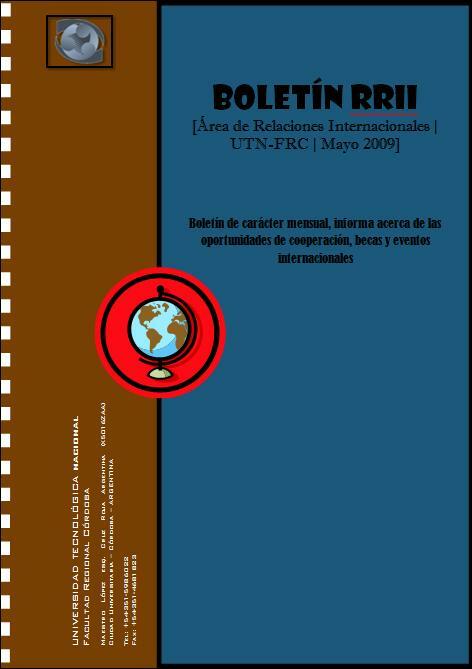 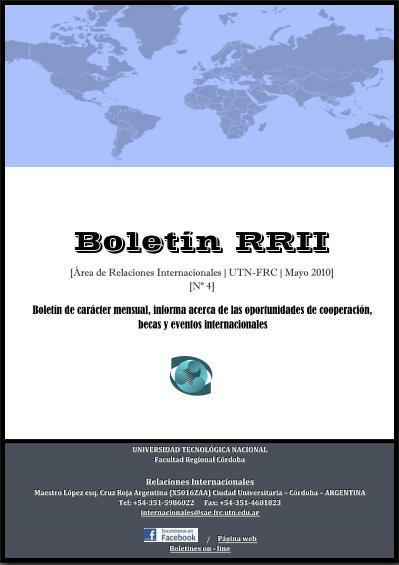 You can access the different newsletters produced by the Department of International Relations, Facultad Regional Córdoba. 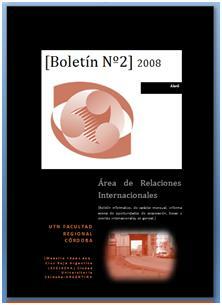 In general, this monthly newsletters reports cooperation opportunities, scholarships and events. 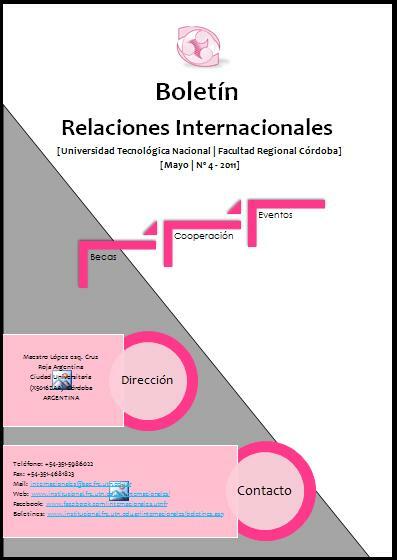 We hope that this would be useful and of your interest, and that we can work together in this area. 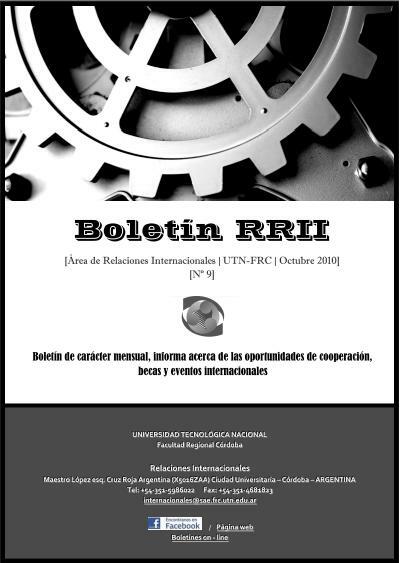 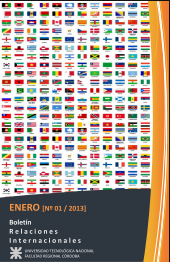 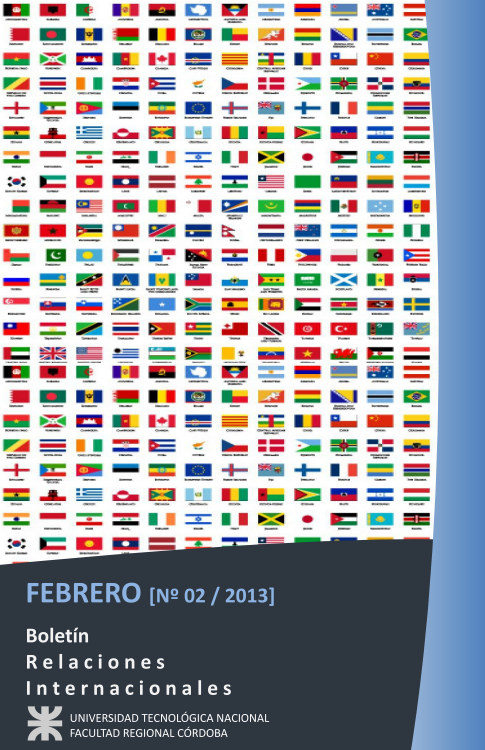 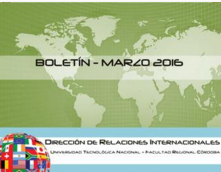 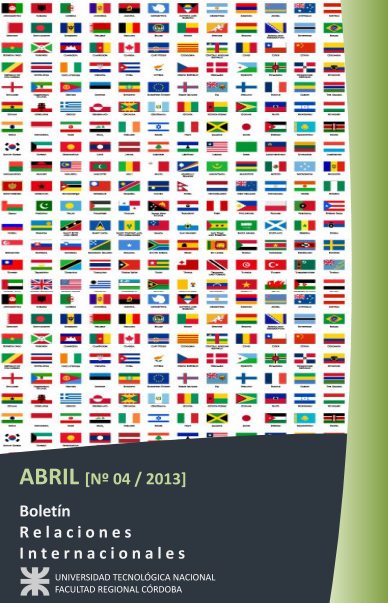 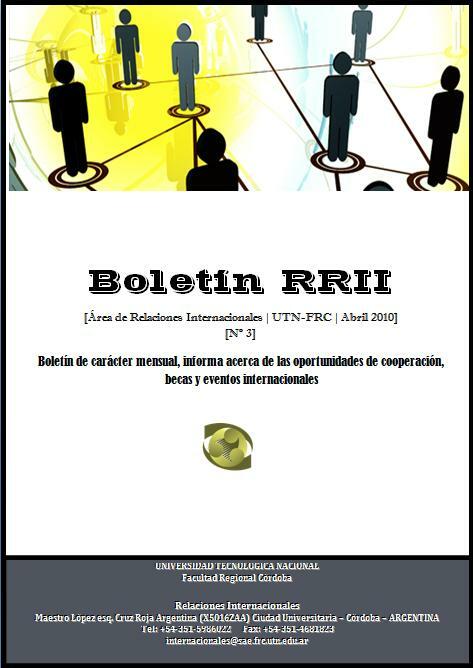 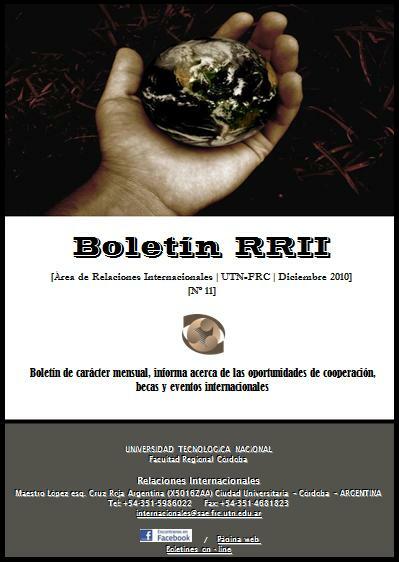 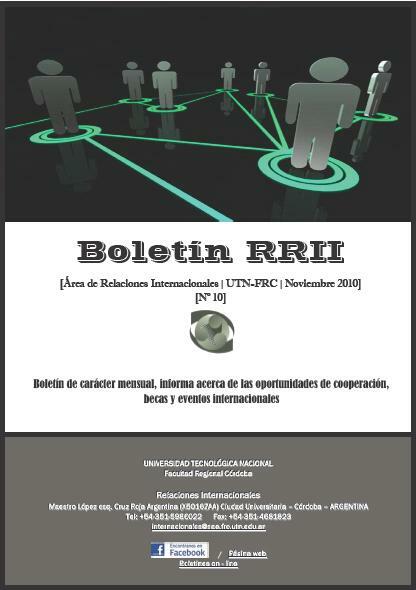 To receive the monthly newsletter, please write to: internacionales@sae.frc.utn.edu.ar with "subscribe" as subject.